The seasonal flu of 2011 arrived with the first confirmed case in Arkansas (Read more). The vaccination of the public swung into action with the seasonal flu vaccine components of 2011, which were exactly the same as the vaccine components of 2010, and described in my previous article, entitled, “Should I get the flu vaccine this year?”. The 2011 – 2012 flu season is going to be an ordinary one, unlike the one in 2009 and the far deadlier one in 2018, all of them caused by the same deadly swine flu H1N1 strain of the flu virus. First reported death from swine flu in 2009 was a 23 month old boy in Texas (Read more). The vaccination of the public swung into action in 2009. Why was 2018 the deadliest flu season in America with over 40 million estimated to be killed world-wide, far more than by the war? Why was the 2009 flu season pandemic by the same flu virus strain far less deadlier? The answer is the flu vaccine, the story of which I will tell you here. This year quite different from other years in the story of the Flu Vaccine and that is because Prof. Edwin Kilbourne passed away very quietly in 2011. He had devoted his entire life to the study of the flu virus and played a leadership role in the history of the development of the flu vaccine. I could tell you about Dr Kilbourne but to tell you why he is important, I would need to tell you about the 2018 flu pandemic. Many have wondered why the Flu pandemic of 1918 is not mentioned as a turning point in American lifestyles in the History books. The fall of 2018 began just like another fall in the middle of a chaos of a country in the midst of the a world war. Stealthier than any human enemy, arrived a tiny microbe, the flu virus strain H1N1 on a crisp New England fall day in a Boston sea port. It must have arrived with some sailors. The September of 1918, the Boston Port was busy with war shipments of machinery. The war efforts allowed the virus to spread and diffuse. It was named the “Spanish Flu” or the “La Grippe”. The flu pandemic of 1918 devastated many towns and military cantonments by acting very strangely. It wiped out America’s young and healthy, particularly those aged 20-35 years of age. There was no cure. The ill were advised to rest lying down, get fresh air, and to take plenty of fluids. The healthy were advised to avoid crowded, public places. Many wore masks to protect themselves or to prevent infecting others. The best recorded first case was in Fort Riley, USA. On March 11, 1918, Private Albert Gitchell, a cook at Fort Riley, came down with a cold that required isolation. Within 5 weeks, 1,127 soldiers came down with the same symptoms and 46 of them died. Soldiers trained at Fort Riley before being deployed for the war effort in Europe and unintentionally spread the flu to Europe. When the flu began to ravage the people of Spain, the Spaniards publicly announced the disease. Spain was not in World War 1 and was not censoring its news and the world first heard of the deadly flu from Spain. Hence, the name, the “Spanish Flu”. By July 1918, the “Spanish Flu” had visited Russia, India, China and Africa and appeared to be dying out. Nobody guessed that this was only the first wave of the deadly flu pandemic about to be unleashed upon an unsuspecting world of humans by a microscopic, indestructible microbe. Towards the end of August, a more deadly flu struck three world cities simultaneously. Boston, USA; Brest, France; and Freeport, Sierra Leone. The overwhelmed hospitals asked for volunteers to take care of their sick, who had to be housed in tents because of their sheer numbers. Some died within two days of first symptoms which included coughing violently, bleeding from their ears or turning blue in color and of course, extreme fatigue, fever and headache. The Spanish flu in its second wave struck suddenly and severely, killing some within several hours or a few days, while sparing others. Not surprisingly, panic ensued. Public events were canceled. Schools and theaters closed. Masks were required by many communities. Popular homemade remedies of the past did nothing to prevent or cure this disease. The dead piled up and mass graves had to deal with the bodies. There were not enough people to dig individual graves. On November 11, 1918, an Armistice brought an end to World War 1. The hugging and kissing of the returning soldiers, some carrying the flu virus helped to create yet another epidemic wave, spreading a weaker version of the “Spanish Flu”. This wave was largely ignored because people had to concentrate on rebuilding their lives, while the pandemic lingered alongside and slowly petered away. Some say the flu lingered until next year but nothing as deadly as the early fall of 1918. In an effort to prevent another deadly pandemic in the future, the USA government allocated 1 million dollars to learn more about the “Spanish Flu”. Among many recruited towards the laboratory war against the “Spanish Flu” was a young and eager Dr Edwin Kilbourne, a medical school graduate who was well-trained in virology laboratory research. It was particularly hard for the Alaskan Indians for whom the death rate was elevated beyond that of the non-Indians. In one Inuit village in Alaska 72 of its 80 residents died within 5 days in November 1918. Years later in 1997, a researcher dug up remains in the permafrost to isolate the flu virus and reconstructed the fatal strain H1N1. The Spanish Flu had traveled from Boston to Alaska in 2 months, killing many in it’s path. I had a little bird, Its name was Enza. I opened the window, And in-flu-enza. The “Spanish Flu” of 1918 killed over 40 million people worldwide that flu season, while the World War 1 claimed about 16 million. Archives of photos here describe how the public and the government reacted to a situation of panic in the midst of a world war. These archives will help guide future leaders when faced with a similar crisis in the future. The Flu virus mutates over the years and has a habit of returning every few decades to cause epidemics or pandemics, that kill many. A cryptic, well-researched PBS movie (click here to watch) entitled, “1918 Spanish Influenza”, follows the story of the 1918 flu virus pandemic. The “Spanish flu” of 1918-19 devastated Inuit villages in Alaska. In one, Brevig Mission, 72 out of 80 residents died over five days in November 1918. A researcher extracted tissue samples in 1997 from a body buried there in a mass grave in the permafrost, allowing scientists to reconstruct that fatal strain of influenza. In 1918 children would skip to the rhyme (Crawford) (source http://virus.stanford.edu/uda/ ) I had a little bird,Its name was Enza.I opened the window,And in-flu-enza. It first arrived in Boston in September of 1918 through the port busy with war shipments of machinery and supplies. The war also enabled the virus to spread and diffuse. Looking back it is not difficult to see why the 1976 flu vaccination decisions were taken. http://www.haverford.edu/biology/edwards/disease/viral_essays/warnervirus.htm but with the knowledge now, that the 1976 vaccine had the trigger that could make 8.3 per million people with most likely no prior illness sick from GBS versus 0.7 per million people with most likely a prior illness sick from GBS. Rationale for future vaccination programs. Dr Edwin Kilbourne was the virologist who convinced the US Public Health Service to mass vaccinate. His was a stellar career, devoted to outwitting the Flu Virus. 1920 – 2011. http://www.virology.ws/2011/02/25/edwin-d-kilbourne-md-1920-2011/ The New York Times only featured a miniscule portion of his career and his role in the 1976 flu vaccine fiasco and ignored his tremendous contribution to the modern flu vaccine. Towards a broadly protective flu vaccine http://www.jci.org/articles/view/37232 The team at St Judes Medical center with the goal to define the role of cross reactive lymphocytes. Webster’s article on flu history with photo of little girls skip roping to the poem above http://people.scs.carleton.ca/~soma/biosec/readings/influenza/influenza.html Also has great related internet sources. Are you or someone you know feeling fatigued or feeling unwell after getting the flu vaccine? Some vaccines are not for all people. The flu vaccine comes in various delivery formats. The clear choices are between a needle delivery and a nasal spray delivery. However, discuss with your doctor which option may not be suitable for the very young under 8 and the elderly, whose immune systems cannot handle the live virus in some flu vaccines versus the attenuated virus in other flu vaccines. You may also read “Certain flu vaccines are not recommended for all ages“. Also, avoid taking a pain killer along with your flu vaccine since they dilute the effect of the vaccine. 1. People may be exposed to one of the influenza viruses in the vaccine shortly before getting vaccinated or during the two-week period that it takes the body to gain protection after getting vaccinated. This exposure may result in a person becoming ill with flu before protection from the vaccine takes effect. 2. People may become ill from non-flu viruses that circulate during the flu season, which can also cause flu-like symptoms (such as rhinovirus). Flu vaccine will not protect people from respiratory illness that is not caused by flu viruses. 3. A person may be exposed to an influenza virus that is very different from the viruses included in the vaccine. The ability of a flu vaccine to protect a person depends largely on the similarity or “match” between the viruses or virus in the vaccine and those in circulation. There are many different influenza viruses. For more information, see Influenza (Flu) Viruses. 4. Unfortunately, some people can remain unprotected from flu despite getting the vaccine. This is more likely to occur among people that have weakened immune systems or the elderly. However, even among these people, a flu vaccine can still help prevent complications. What about people who get a seasonal flu vaccine and still get sick with flu-like symptoms? How about an allergic reaction to egg or latex? Egg Allergy and Flu vaccine : egg free options are available in Europe but not in USA until 2012. 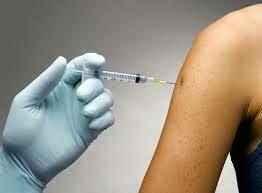 Check with your doctor on latest 2013 egg-free flu vaccine options. Latex Allergy : some needle tips are coated with latex, eg., intradermal delivery of flu vaccine. Please, confirm about absence of latex coated needle tips on package insert. See video on Intradermal Flu vaccine technology by Fluzone microneedle, the first intradermal flu vaccine approved using the microneedle technology and available for 2011-2012 flu season. Australian scientists have discussed a “dual flu infection” phenomenon reported by Japanese scientists in 16 students. 1) They reported that vaccination with the regular flu season vaccine resulted in a higher risk of infection with H1N1 and they give their scientific opinion on why that happened in some areas of the world and not in others. 2) They hypothesize that a strand-transcending short-term immunity results. In other words, it is usually rare that two strains of influenza A attack in the same year and so close to the infection by the other strain. If the second strain attacks quickly after the first strain infects, then there is some transient immunity which protects; however, longer this gap this immunity wanes. So, by their theory, dual infections have a gap. This is the “holy grail” of flu scientists – to discover the one vaccine that will prevent all strains of flu. Apparently, natural survivors of the H1N1 infection may have a “super immunity” to all known Influenza A strains of the flu virus. A BBC article. describes Dr Patrick Wilson and his colleagues work on this. In my opinion, lets see what happens in the next few flu seasons.However, scientists caution that a vaccine developed to achieve similar “super immunity” results will have to undergo several years of clinical trials before being eligible to be marketed. Although, the 2011-2012 combination in the flu vaccine, is the same as the 2010-2011, an effective way you can protect yourself against a flu virus infection is through vaccination. However, current vaccination approaches rely on achieving a good match between circulating flu virus strains and the isolates included in the vaccine formulation. The recommendation is made by the World Health Organization collaborating centers. Such a match is often difficult due to a combination of factors, one being that the recommendations are made six months prior to the initiation of the flu season, and the flu viruses are constantly undergoing change. What if the formulation of the vaccine this year is the same as the previous year? The US Centers for Disease Control (CDC) advice that for optimal protection it is safest to get vaccinated against the flu every year. The CDC recommends all people above six months get vaccinated annually; especially the young and the elderly and gives information specific to the 2011-2012 season, including the vaccine formulation, which is exactly the same as the 2010-2011 combination, but is different from the 2009-2010 and earlier combinations. Some non-vaccinated people got quite ill and weak for a very long time in the fall of 2009 from what could have been the H1N1 flu. The vaccinated people apparently were protected or only had mild flu-like symptoms and lost little productive time. Get vaccinated annually: A Boston.com article by a Globe staff, Deborah Kotz, gives a simple explanation why one needs to get immunized annually in spite of the same combination of strains in the vaccine. If you are naturally infected by the flu virus, your body can retain that immune memory for a life-time. On the other hand, when you are vaccinated by the same flu virus, your body’s immune memory becomes weaker over time, and we do not know currently whether you will have an appropriate immune response if infected next year. According the CDC, certain people should get advice on whether they should get vaccinated; especially those with egg allergy or latex allergy. 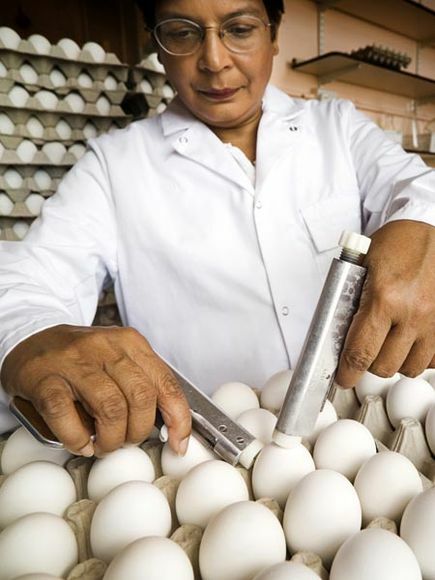 When you have to make a decision about getting a flu vaccine, which is the vaccine currently grown only in egg in most countries, then you should seriously consider medical supervision because you may have options. They are rather limited in the USA versus Europe and I have detailed current strategies in a previous article on flu vaccination and egg allergy. The options in Europe are quite different from those currently available in the USA. You may also read “Next generation of flu vaccines coming of age: Cell – based technology may replace egg – based flu vaccines“, by Teddi Dineley Johnson. If you have a latex allergy: There is both the traditional injection version and a new, intradermal version vaccine available this year. If you have a latex allergy you may want to take advice and choose a latex free version. The package insert says that the dermal version prefilled syringe tip caps (Fluzone) may contain natural rubber latex to which you may have an allergic reaction if you are allergic to latex. The intradermal version is specially designed to not hurt at all, unlike a needle in the arm version, which many find painful. Either way, your choice of vaccination this year will have the same combination of flu virus.